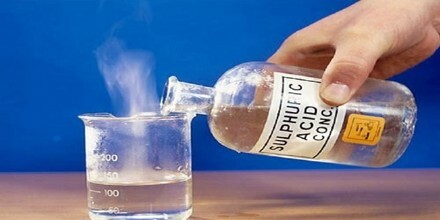 Sulfuric acid is a strong corrosive acid. It combines very easily with water, making it a good drying agent. 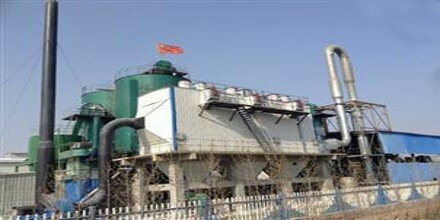 Sulfuric acid is the most widely used acid in industry. It is used to make detergents, dyes, drugs, explosives, pigments, fertilizers, and many other products. It is also the acid in lead-acid electric batteries. The historical name of this acid is oil of vitriol. It is also spelled sulphuric (H2SO4), also called oil of vitriol, or hydrogen sulfate, dense, colourless, oily, corrosive liquid; one of the most important of all chemicals, prepared industrially by the reaction of water with sulfur trioxide. 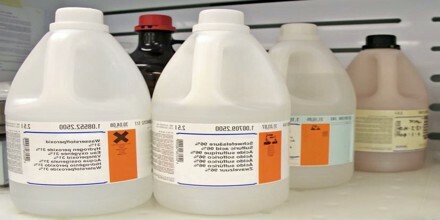 Sulfuric acid at a high concentration can cause very serious damage upon contact, since not only does it cause chemical burns via hydrolysis, but also secondary thermal burns through dehydration. It can lead to permanent blindness if splashed onto eyes and irreversible damage if swallowed. Pure sulfuric acid has a specific gravity of 1.830 at 25 °C (77 °F); it freezes at 10.37 °C (50.7 °F). When heated, the pure acid partially decomposes into water and sulfur trioxide; the latter escape as a vapour until the concentration of the acid falls to 98.3 percent. This mixture of sulfuric acid and water boils at a constant temperature of 338 °C (640 °F) at one atmosphere pressure. 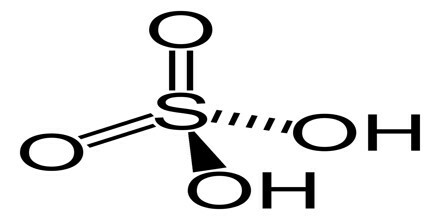 Sulfuric acid is commonly supplied at concentrations of 78, 93, or 98 percent. The chemical formula of sulfuric acid is H2SO4 and its molecular weight is 98.079 g/mol. Its chemical structure is shown below. The sulfur atom is bound to two oxygen atoms through double bonds, and two hydroxyl groups (OH) through single bonds. It is a diprotic acid, as it can release two protons. Physical Properties: H2SO4 is a colorless or slightly yellow viscous liquid with a pungent odor. It has a density of 1.84 g/mL, boiling point of 337 °C, and melting point of 10 °C. “Concentrated” sulfuric acid is 98% in water, and is the most stable form. Many other concentrations, with different names, are available for various purposes. Battery acid is 29–32%, chamber acid is 62-70%, and tower acid is 78-80%. The term fuming sulfuric acid, or oleum, is applied to solutions of sulfur trioxide in 100 percent sulfuric acid; these solutions, commonly containing 20, 40, or 65 percent sulfur trioxide, are used for the preparation of organic chemicals. There are two major processes (lead chamber and contact) for production of sulfuric acid, and it is available commercially in a number of grades and concentrations. Lean Chamber Process: In the lead chamber process hot sulfur dioxide gas enters the bottom of a reactor called a Glover tower where it is washed with nitrous vitriol, sulfuric acid with nitric oxide, NO, and nitrogen dioxide, NO2, dissolved in it, and mixed with nitric oxide and nitrogen dioxide gases; some of the sulfur dioxide is oxidized to sulfur trioxide and dissolved in the acid wash to form tower acid or Glover acid (about 78% H2SO4). The acid produced in the chambers, often called chamber acid or fertilizer acid, contains 62% to 68% H2SO4. Contact Process: In the contact process, purified sulfur dioxide and air are mixed, heated to about 450°C, and passed over a catalyst; the sulfur dioxide is oxidized to sulfur trioxide. The catalyst is usually platinum on a silica or asbestos carrier or vanadium pentoxide on a silica carrier. Acid of any desired concentration may be produced by mixing or diluting the products of this process. Sulfuric acid has many uses in different industries, such as mineral processing, petroleum refining, fertilizer production, wastewater processing, etc. It is also used in the production of cleaning agents, dyes, pigments, drugs, detergents, and explosives. It is commonly used as the electrolyte in lead-acid batteries. It has widely varied uses and plays some part in the production of nearly all manufactured goods. It is used in petroleum refining to wash impurities out of gasoline and other refinery products. 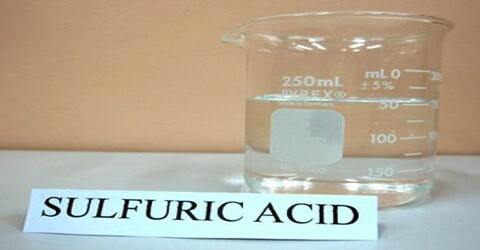 Sulfuric acid is used in processing metals, e.g., in pickling (cleaning) iron and steel before plating them with tin or zinc. Rayon is made with sulfuric acid. It serves as the electrolyte in the lead-acid storage battery commonly used in motor vehicles, acid for this use, containing about 33% H2SO4 and with specific gravity about 1.25, is often called battery acid.